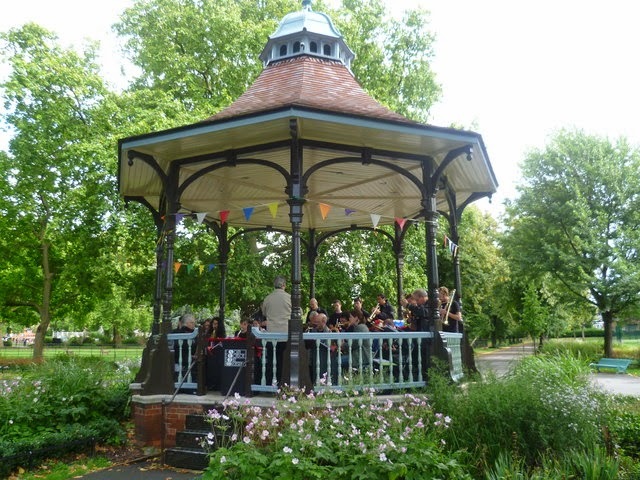 Lovers of al fresco jazz in south London could do worse than dropping in to Myatt's Fields in Camberwell today, where the South London Jazz Orchestra play from 1pm with a mix of interpretations of music from the swing era, modern jazz and Latin tunes. Myatt's Fields is a Victorian park, named after Joseph Myatt a gardener who grew strawberries on the site before it opened to the public in May 1889. The South London Jazz Orchestra has been entertaining crowds since 1999, and promise an good show, hopefully untainted by showers.